Accordion folded rosettes are a long-time favorite DIY paper craft embellishment, so it makes sense to see them appearing in various altered forms. 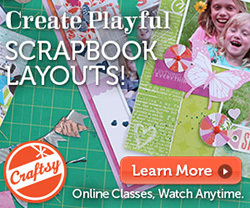 I love the different accordion folded shapes popping up on paper crafts projects. 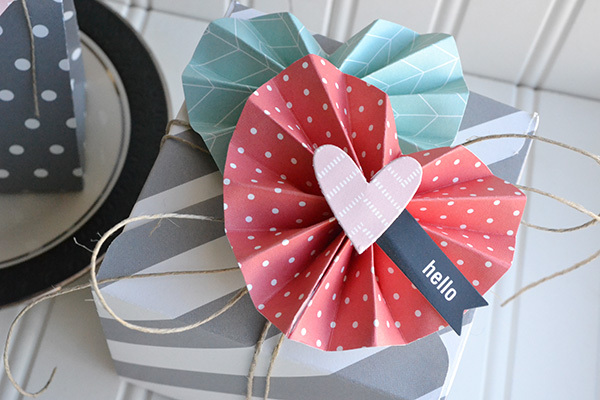 Last fall I shared a tutorial for creating accordion folded leaves, and today I'll show you how to make folded hearts for your Valentine's Day projects. Full instructions and supplies to create an accordion folded heart can be found on the We R Memory Keepers blog HERE. 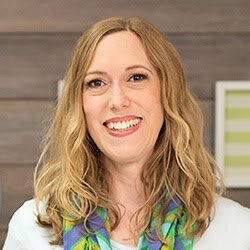 You can cover the center of the heart with a brad or other embellishments, and then add the embellished heart to any paper craft project--scrapbook pages, cards, gift packaging, etc. 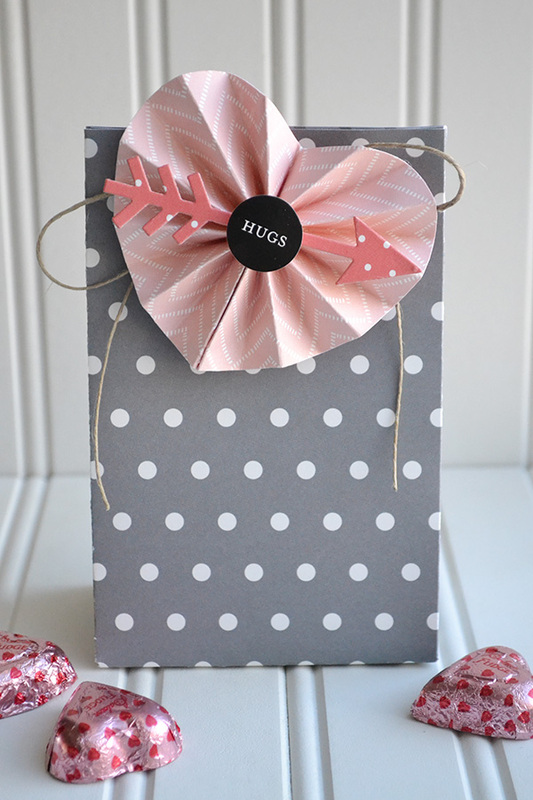 I placed mine on some Valentine's Day treat packaging I made with my Gift Box Punch Board, and my Gift Bag Punch Board. I used papers and stickers from the Homemade collection by Jen Hadfield for Pebbles, Inc. 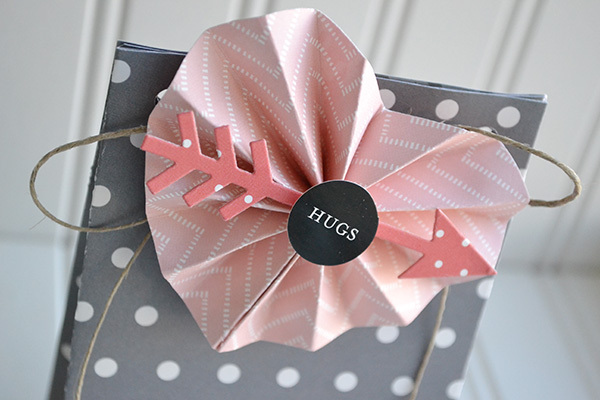 I embellished the folded hearts with some sentiment stickers and some shapes I cut out with my Albums Made Easy Dies. 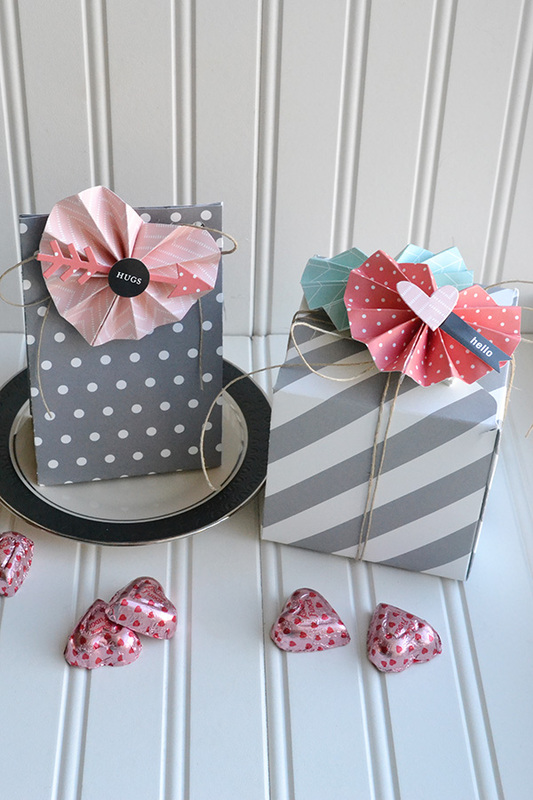 This Valentine's Day try including some trendy accordion folded hearts on your paper craft projects. 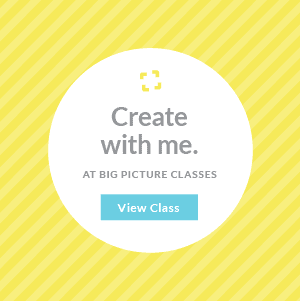 I'd love to see what you make--be sure to share a link to your creations in the comments section below!